Never have cupcakes been so likely to give you nightmares. Davide Luciano and Claudia Ficca’s recreations of scenes from The Shining for their series “All Food and No Play” depict the film's most iconic moments in edible form. Perhaps the most disturbing thing about these images is the weirdly childlike nature of the foods Luciano and Ficca chose. 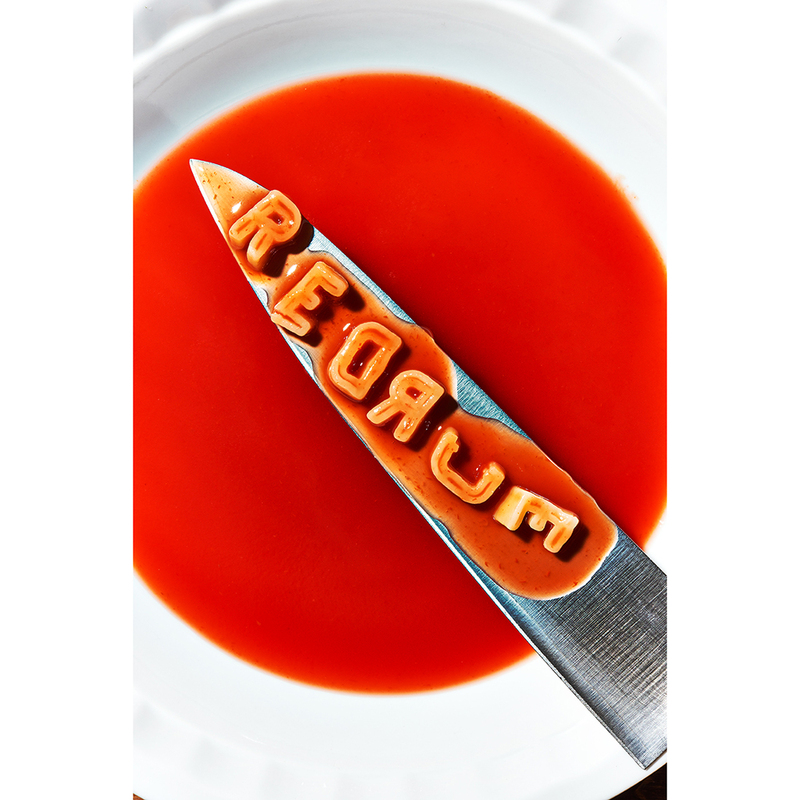 The images are made out of alphabet soup, frozen peas, cherry pie, and colorful cupcakes, making them perversely innocent while portraying The Shining's most haunting moments. The only thing that could be more haunting is the name Luciano and Ficca gave the frozen pea labyrinth: "The LaPEArinth." Does that even count as a pun? This is Luciano and Ficca's sixth collaboration. Among their previous work together is Meals Interrupted, a photo series of ransacked, unfinished meals that's way more upsetting than it should be. Though all their work together has a dark twist, not all of it is quite so disturbing. Their series Gourmet Mouse Traps is a funny, meticulous collection of the most delicious-looking mousetraps you've ever seen. For the series, Ficca prepared miniature cheesecake, bagel and lox , cheese blocks, grilled cheese, lasagna, nachos, onion soup, macaroni and cheese, pizza, and poutine. None of their other collaborations though have quite the shock value of seeing alphabet soup blood on a knife, cherry pie guts, or Jack's meat heart frozen in a red popsicle.